(Cannes, France) Securing money for a film production is one of the hardest things to do in today’s film market. However, will several different avenues available nowadays from kickstarter to indiegogo as well as finding investors, there are now more options on the table to assist in getting a production off the ground. Knowing these options however, is where today’s panel proved to guests to be extremely helpful. 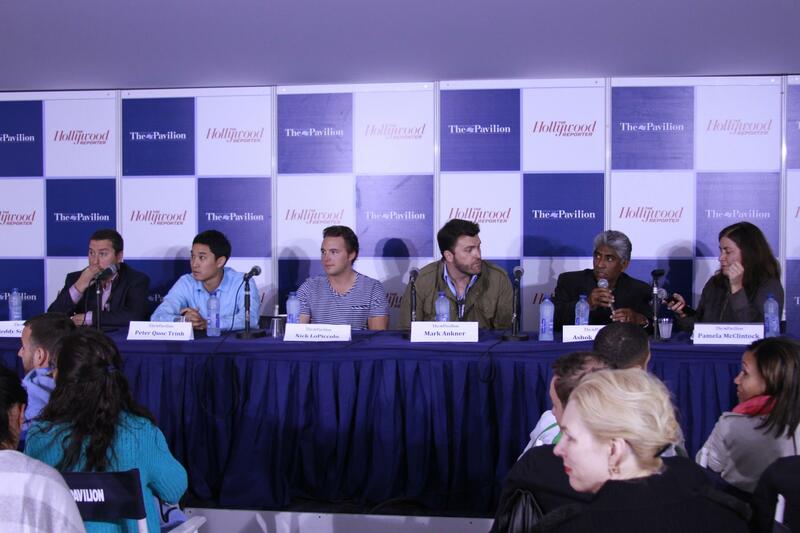 Nick LoPiccolo (Paradigm), Mark Ankner (William Morris Endeavor), Teddy Schwarzman (Black Bear Pictures), Peter Quoc Trinh (ICM), Ashok Amritraj (Hyde Park Entertainment) stopped by the American Pavilion today to offer wisdom on how to navigate finding money to make your films.